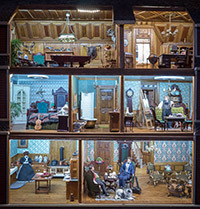 A project as ambitious as The Great American Dollhouse Museum needs a team of skilled creators in numerous areas of expertise. Lori Kagan-Moore has assembled a talented staff of designers, builders, painters and artisans with proven records. From Akiko Otake in Japan to Jon Sachs in Boston and back to Matthew Hallock in Kentucky, Lori has a long history of positive working relationships with every member of this energetic team. 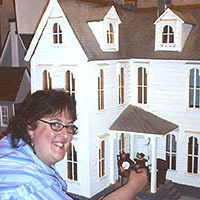 Lori Kagan-Moore's professional voyage has led her from a clinical faculty position at Ohio State University's Department of Psychiatry through a number of exciting years as owner and operator of Lori's Antique and Vintage Jewelry in Lexington, Kentucky, to her current position as Curator of The Great American Dollhouse Museum. Coming from several generations of professional antique appraisers, auctioneers, and store-owners, she has a long-term familiarity and love of the antiques business, and miniatures in particular. 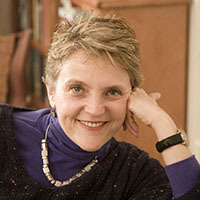 Lori holds an undergraduate degree from the University of Michigan, a Master of Arts in Public Administration (MAPA), and a Masters in Social Work (MSW), both from Ohio State University. 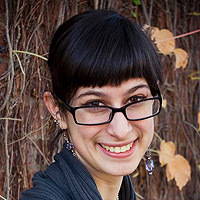 Currently working on her PhD in Art History at the University of California at Santa Barbara, Hannah holds a BA in Studio Art and Art History from Skidmore College and an MA in Art History from the University of California at Davis. Each summer for the past several years, she has worked on developing exhibits in the Museum. She developed, landscaped and staged the Fantasy Forest from the Journey of the lost brothers to the troll bakery and dragon lairs in the walk-in cave. Hannah’s faux painted gardens and rugs grace the floors of the Exhibition Hall, lobby and restrooms. She most recently designed and painted Copper Hollow’s 1910 tenement district. We are delighted to welcome Centre College Assistant Vice President and Associate Professor of Education J.H. 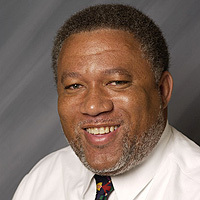 Atkins as our Diversity Advisor and consultant on African-American history and culture. He has taught in a variety of public schools at the elementary, middle, and high school levels; he also has extensive administrative experience as an elementary principal and assistant superintendant. In an age when Googling is a survival skill – and first impressions of many organizations will occur through their websites, we sought a master of web design and found that expert in Jon Sachs. With a degree in Graphic Design from MIT and many years experience running his own company, he has developed a wide variety of websites from large commercial ones to small artists’ sites. Jon’s own website contains a complete portfolio as well as a resume, and… a lot of laughs. (Don’t miss the Infrequently Asked Questions section!). And, of course, he is also the creator of the infamous Poison Ivy website. In addition to the design of the website, Jon did much of the photography, as well as our YouTube videos, Miniature Mischief, The Lost Brother, and The Store. 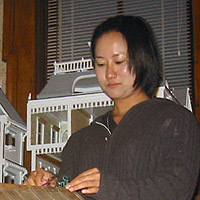 Akiko spent three weeks at the museum workshop reconstructing a period Japanese home, and tutoring our staff in the differences between Japanese and Chinese costume and architecture. Having completed a year-long tour of Costa Rica, Peru, and Mexico, where she studied the language and cultures of Latin America, she now returns to her native Japan. Ruth’s award-winning scenic designs impressed Lori enormously from first review. Clearly her artistic vision and range render her inestimably valuable to the team. If you click only one link today, make it her set design site. A registered architect with a degree from The Technion in Haifa, Israel, Ruth is an associate in the Concord, Massachusetts firm of Levi Wong Design Associates . 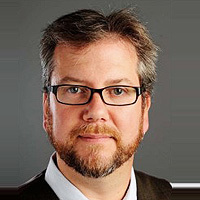 Matthew R. Hallock is associate professor of dramatic arts at Centre College where he has taught since 1997. He has extensive experience in theater design, working professionally in the field in Milwaukee, Chicago, and Kansas City as well as numerous stock locations across the country. 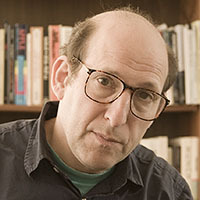 Some of the companies he has worked for are the Skylight Opera Theatre, Milwaukee Chamber Theatre, First Stage Children's Theater (Milwaukee), and The Missouri Repertory Theatre. Locally, his designs have been seen at the Actor’s Guild of Lexington (for which he has received three audience appreciation awards), Lexington Children’s Theatre, and the Lexington Shakespeare Festival. Hallock holds a B.S. in theater arts from the State University of New York at New Paltz, and received his M.F.A. in scenic design and technology from Western Illinois University. Matthew was instrumental in designing the interior space of the museum, including the walk-in cave, the castle in the air, and advised on the application of faux finishes. We would like to acknowledge the wonderful photography that Clay Jackson did for the Dollhouse Museum. Visit Clay's website and see more of his work.